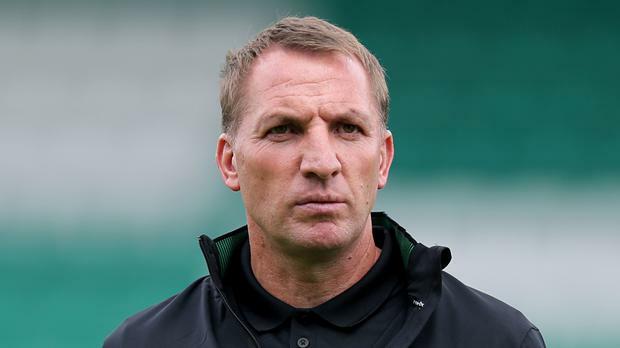 Brendan Rodgers has suggested he could revive Arsenal’s fortunes if he was offered the chance to take over from Arsene Wenger, while insisting he is happy in his current role as Celtic boss. Rodgers has been mentioned as a possible contender to succeed the beleaguered Wenger, who is under increasing pressure to walk away from his role after a miserable week that included comprehensive defeats in the Carabao Cup final and Premier League against Manchester City. Wenger has confirmed that his position will be reviewed at the end of this season, even though his contract is due to run until the summer of 2019, with Rodgers doing his best to downplay suggestions that he would be eager to make a Premier League return with the Gunners. "Arsenal are a great club, they have a great manager and they are going through a tough time of course," stated Rodgers. "People will look at it and see that I went to Liverpool, they were struggling for five seasons for Champions League football and I was able to get them back. And when I came to Celtic, they hadn’t been in the Champions League for two seasons and I got them back. "So maybe people are thinking okay, Arsenal have been out of the Champions League and is that maybe the equation for someone like myself. The other stuff you can’t control so I can’t worry about it. "I’m loving my life up here. I’m not going to be here forever but I’m living in a dream. Dreams always come to an end at some point, that’s for sure. But I am always relaxed about speculation. My focus is only on Celtic." Germany boss Joachim Löw is believed to be a leading contender to take over from Wenger once his duties at this summer’s World Cup finals conclude in Russia this summer, but German sources suggest the tactician who has not worked at club level since leaving Austria Vienna in 2004 is not looking to jump into club management in such a high profile job.